Magdasal was busy questing for this pretty face. It had asked me to raise a couple of friends, so I headed to the swamp above to get them. I raised the first one without any problems. As they come up you get attacked by a few folks including a “beaver” and a bunch of little ones. 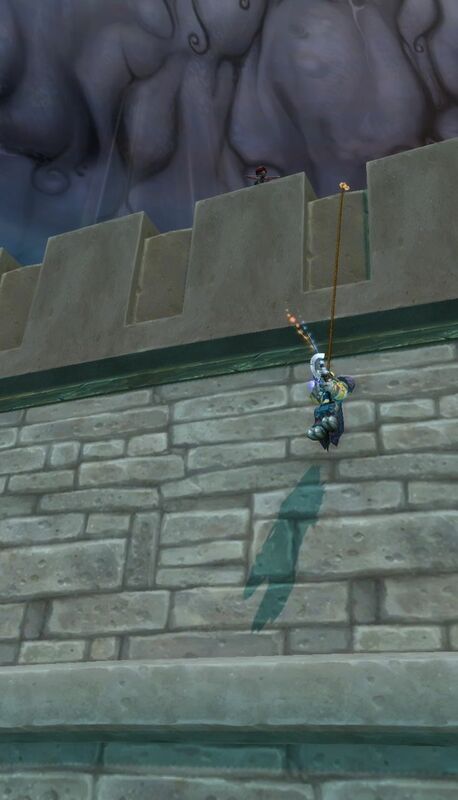 During the second one, there was an Alliance panda AFK, right where he rises. 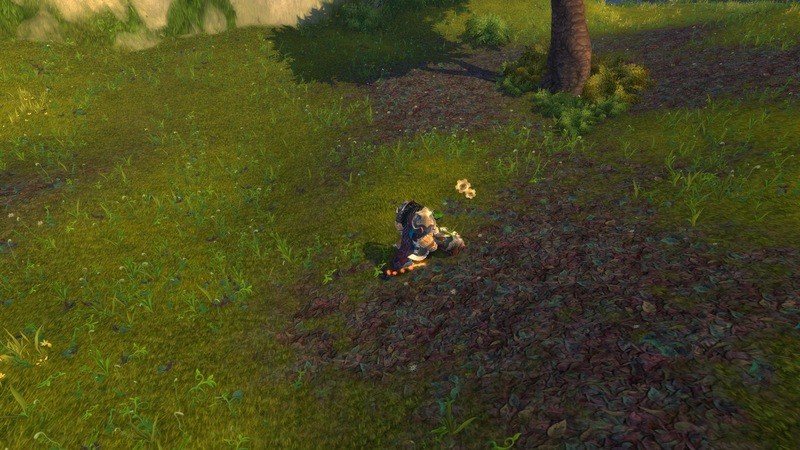 When the small beavers approached, for some reason they aggroed on the afk toon and proceeded to kill her. Kinda funny to watch actually. Poor player… coming back to a dead toon. 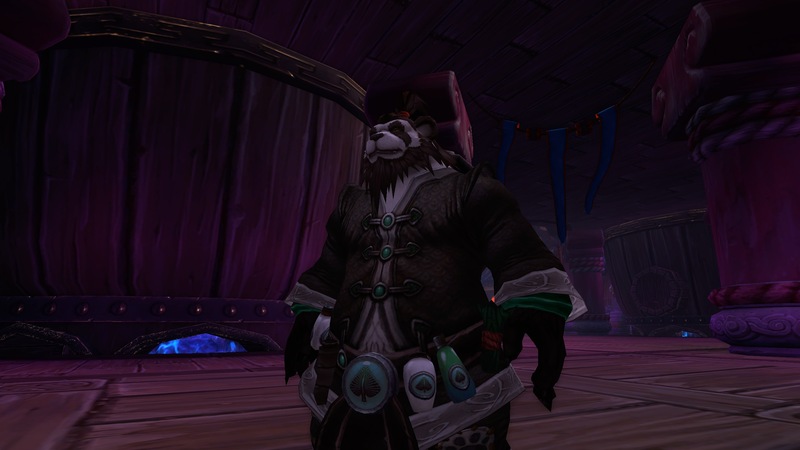 I finished those quests and ran through a few more for the Shado-Pan. Before long, she dinged 90. Ready for WoD. Author MabahoPosted on October 23, 2014 October 24, 2014 Categories WoWTags alts, quests, WoW1 Comment on Yay for Magdasal. 6.0 now. I don’t remember 1.0, But 6.0 seems like we have come a long way. Lots of changes too, I think it was the biggest Patch Notes I’ve ever seen. Headed out to the Blasted Lands and completed the quests there. Had a quick look at Magdasal’s rotations and keybinds. Mabaho opened his Reagents Tab and filled it up with gems and herbs. This got really bad when I got all the herbs that Mabango had been storing. Magdasal opened her reagents tab and didn’t fill it. But she did do a little bit of levelling her Tailoring and also cost me a fortune training the last two flying levels! Then I remembered I should be levelling her. So in the end, Mabaho is back at Org and looking to practice his rotations. Cleaning out the bank I ended up upping his gear as there was a bunch of stuff in his bags he hadn’t put on. Overall, I’m pretty happy with what I have read and experienced. Ok, I’m 90, now what? 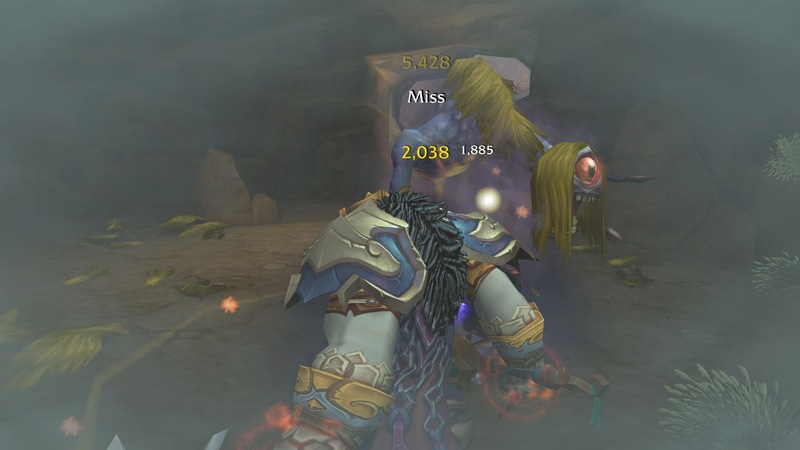 So I started out hitting up some quests and it all seemed pretty easy on Timeless Isle. Then the chain began, Kill 50 Elites and Kill 5 Rares. That sounded easy until I tried it…. it’s kind of embarrassing being slaughtered by a pink stork. So I tired the Turtles and that was worse. I didn’t even go near the others, they were 91 or more Elites. It was also busy and I’d be setting up to tag a pink stork, laying out totems, letting the doggies out, casting Lightning Bolt… when someone would come past and tag them. 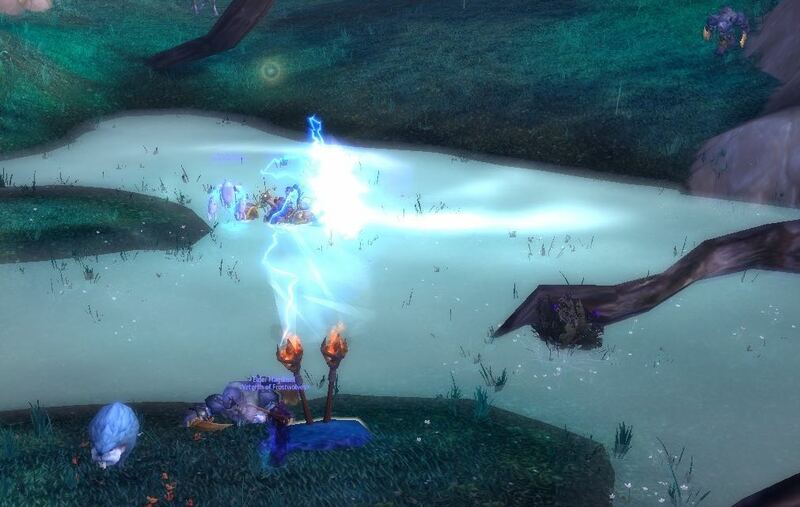 I did manage to kill Evermaw as I was stuffing about. 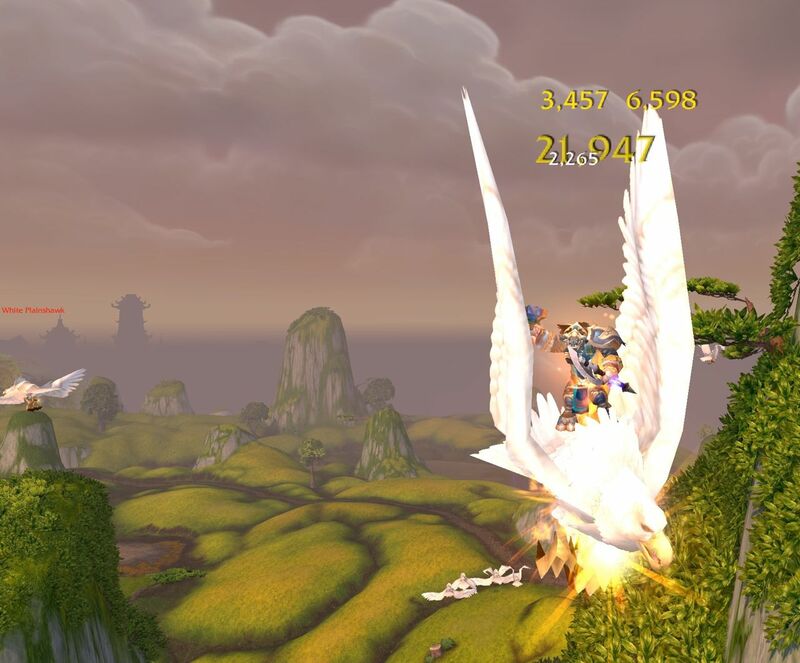 So off to guild chat for some pointers about Timeless Isle. With some tips I managed to get a few pieces of gear. I also ran several Scenarios and 5man Heroics. These didn’t get me much gear, but the JP and VP helped me buy some more stuff. Hopefully I can be back here in time on Sundays to run Flex with the guild too. And in other big news, Dasal arrived. I changed her name to Magdasal, so almost the same. Close enough that I was happy. 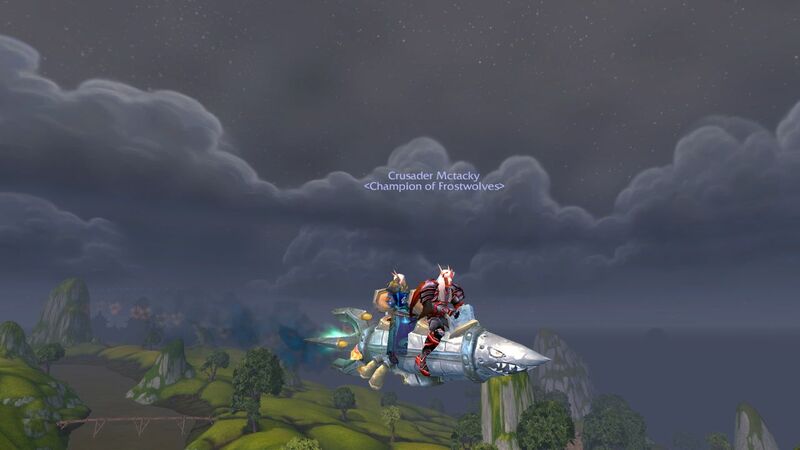 Once again, McTacky gave me a lift to The Shrine, picking up a bunch of flightpaths along the way. 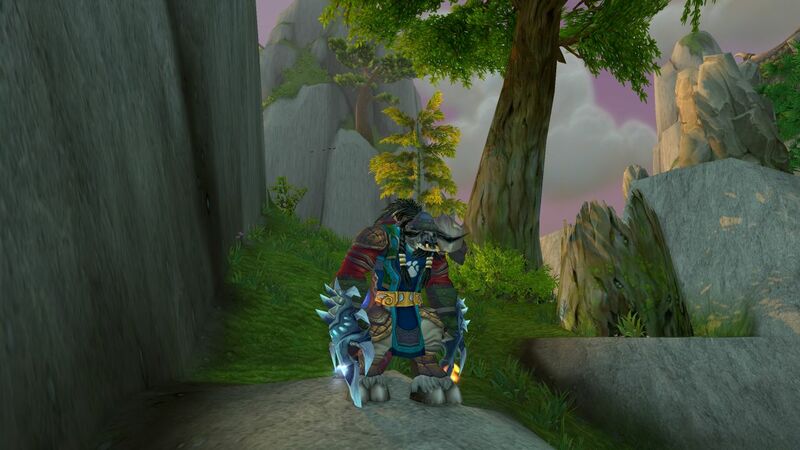 And then back to the start of Pandaria to start the levelling all over again. Das is going to run Shadow for a little bit, then I might go back to Holy and run through some dungeons. That’s how she levelled before and it will be a challenge to do it again. 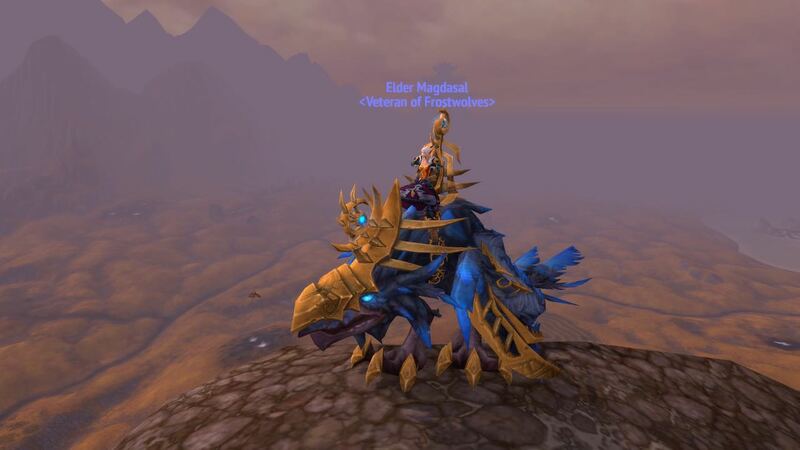 Author MabahoPosted on January 30, 2014 Categories WoWTags MoP, quests, WoW4 Comments on Ok, I’m 90, now what? And there it is folks, 90. Of course, it wasn’t just a merry wander from 89 to 90. 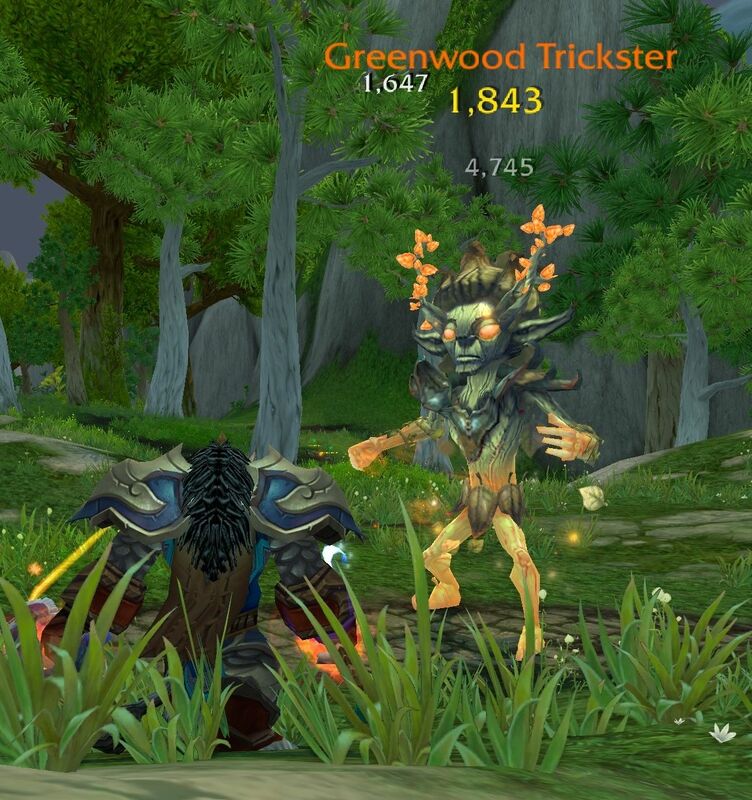 My last WoW post had me questing in Valley of Four Winds, when I realised that as I was so close to 90 and these zones were for lower levels, I was doing myself a disservice by continuing here. I bravely set out to find my way to other zones. Better xp. Exploring as I did, I discovered some interesting sites, and took some concerning journeys. I disturbed this little guy, I really didn’t want to bash in his head, but he wouldn’t quit. I scaled some more walls. Eventually found myself in the Dread Wastes helping out the insect guys. Awakening several of their elders in an interesting chain of quests. I may go back and finish these. 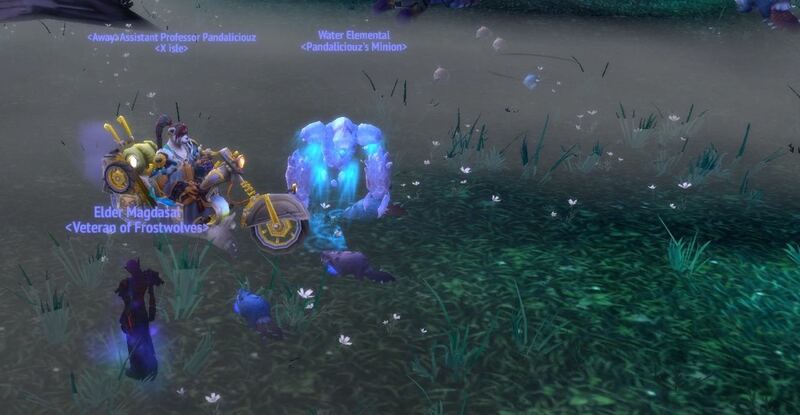 This soon had my bags full and a friendly guildie (Thanks Mctacky) kindly gave me a lift to the Shrine of Two Moons. 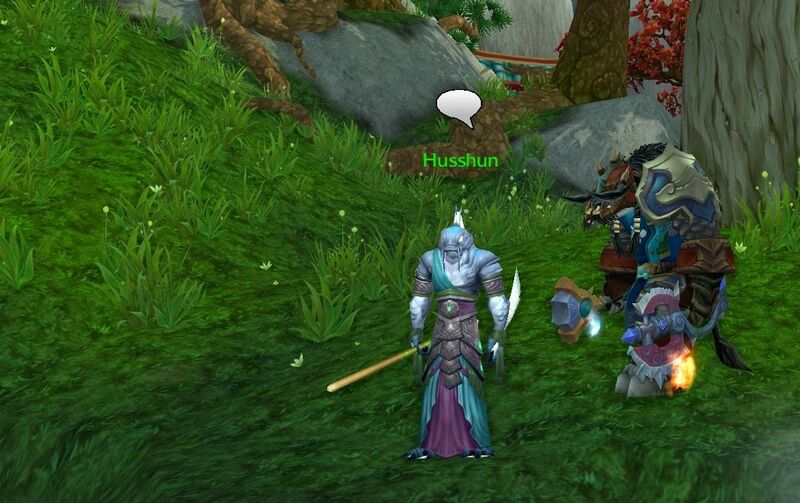 It would seem that in my haste I had abandoned a quest chain that would have led me to the city on Pandaria. Here I found a bank and emptied or sold all the assorted items I was holding. This all happened in the days before Fiji and last night. Tonight, with 15% to go, I spent some more time running quests for the Insect guys before a hand in put me over the line. And Mabaho was 90! About two months for 5 levels. Now this is a cool pair of fist weapons. Pity they’re just temporary. But what to do? Well first up was to head to the Shrine and pick up flying. 2500G, I remember when that would have been an enormous sum for me. The general improvements in everybodies’ income these days meant it was a simple click. And I was flying again. So the next challenge was to gear up. 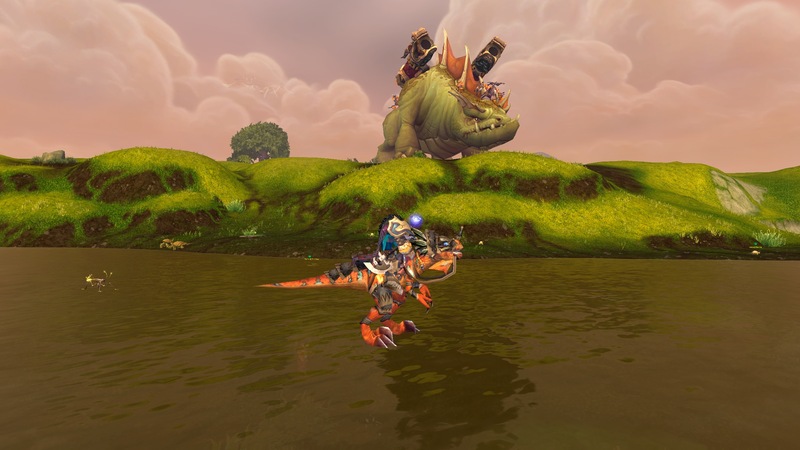 The suggested Timeless Isle and so a quest later I was on the shores of this unusual zone. 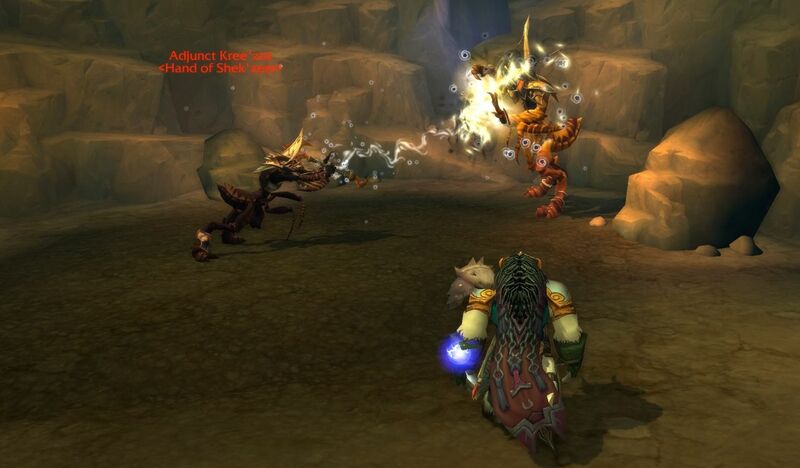 I wandered about doing some quests, generally staying out of the way of players and the multitude of Elites. 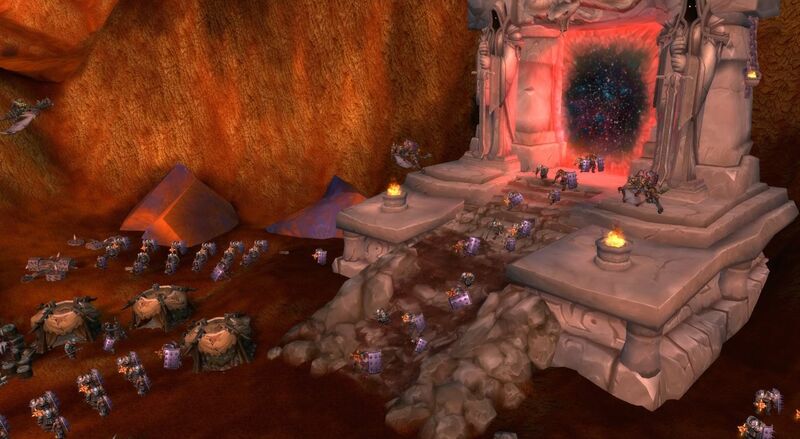 I’m still scarred from the old Vanilla days when Elites were scary, vicious, brutal opponents, not just a bit tougher, maybe have to fight for twice as long as they are now. But it seemed I just wandered merrily about, as other players killed all the mobs and I just found and opened treasures full of purple gear…. 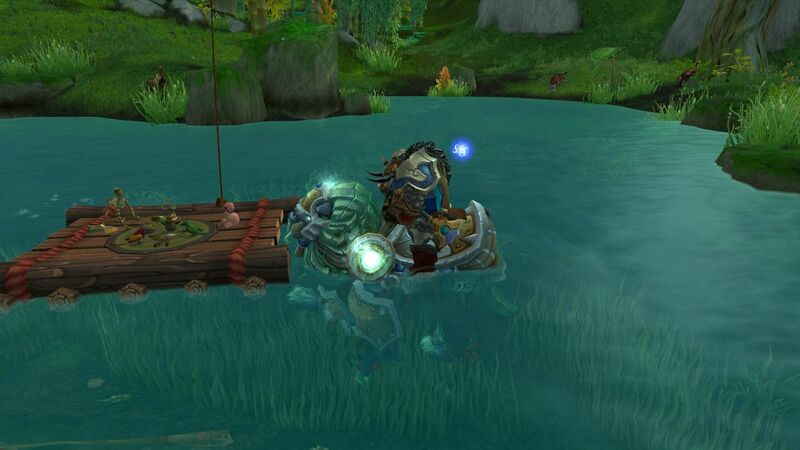 Hmmm, Timeless Isle seems a good way to get started! So what about tomorrow… I wonder if I can slip into a guild run of something. I found a village beset by some kind of insect race and helped out. Part way through they sent me into a misty grove to talk to a martial arts trainer. Obviously I had some work to do as he easily tossed me halfway across the grove. This egg looked just a LOT suspicious. I killed a few more horror creatures and stole some eggs. I also smashed some wooden and stone beams and eventually I passed his training. The bird from the big egg returned. And I dinged 89. Navi reckons the expac might be out April-May time. So I have one level to go, about a week of holidays here then weeknight evenings free, I am quietly confident I’ll be 90 by the expac. Now whether I’m still in quest blues and dungeon purples, we’ll see. 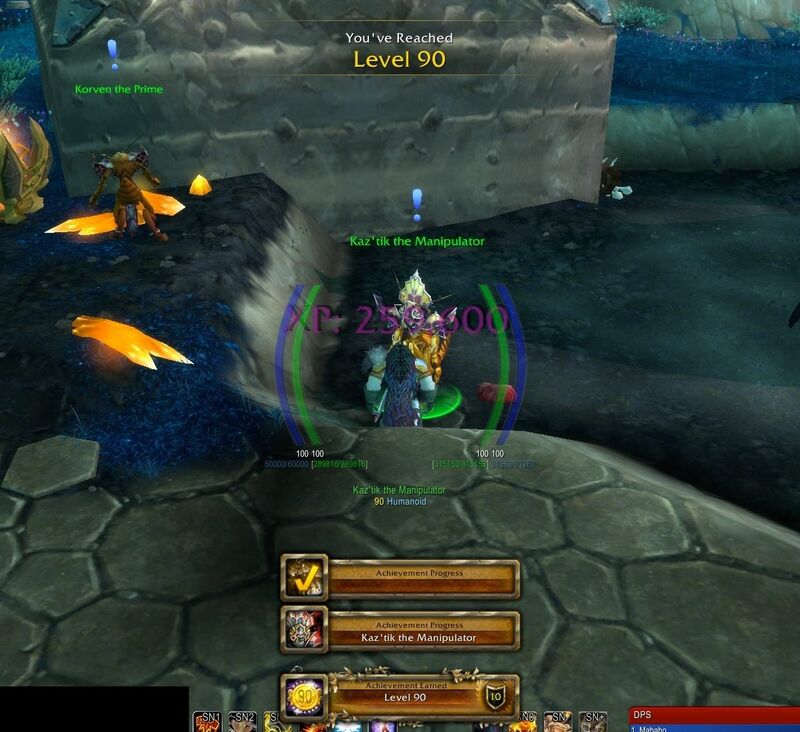 Maybe I can get in some flex raids or such with the guild post 90. That’d be a big boost for me into the Warlords of Dreanor. Of course, then there’s Dasal and Mabango. to work on. 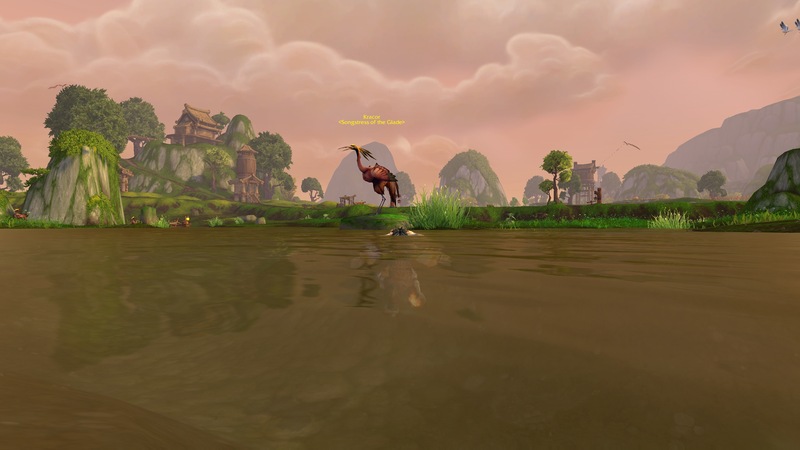 I’m still questing in Valley of the Four Winds, there are about 3 more zones to quest in so plenty of content not yet covered. I started off this morning with some gardening. I had decided not to do any reps, and certainly have no plans to set up a farm. However this morning I decided that the quests were probably pretty painless and would be valuable XP. So I worked in the farms around Halfhill. Watering plants, clearing out vermin, and other farm related tasks. At once stage I was being severely beaten by some vermin (their Ankle Bite was a killer) when I realised my weapon enhancements had expired. Oops. A renew of these and it was better. The Ankle Bites still hurt though. A variety of quests followed, killing moths and other various creatures. I abseiled down a cliff to fetch some hops and fought this ugly beast. Horror is a good name. Though he went down pretty easily. Not long after that the servers went down and I found myself wandering an empty land. I must say that it has been years since I’ve had that happen. It wasn’t my connection as the internet was still working, and the Armoury app on my phone couldn’t connect either. I haven’t quite made 89, about 15% to go. Except for the uncertain effect of several other RL commitments, I am pretty sure I can make 90 before the end of January. Hopefully before I start back at work on January 20. Happy New Year all – enjoy the evening however you choose to celebrate it. Mabaho was bashing these spirits when, ding! Yay, 88 now, just two levels to go. Some more interesting quests too. An odd one was this rolling the stubborn panda home. A bit of exploring (Water Walking Spell) and I passed this beast, shelling a nearby village. A bit indiscriminate? 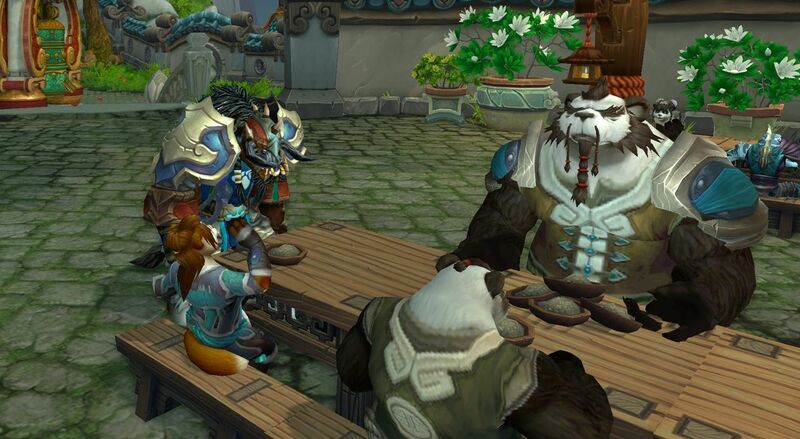 I also had another look into the Stormstout Brewery as Chen tells us his story. So it’s been an interesting morning. Merry Christmas Everyone, hope you have a relaxing and fun holidays. Stay safe if you’re driving anywhere. 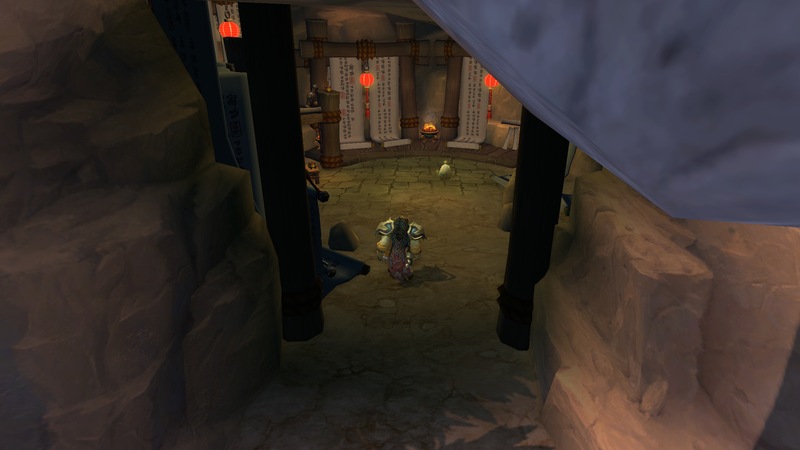 Questing has moved from the Jade Forest into the Valley of the Four Winds. Seems to be full of farmers struggling to get ahead with all these vermin (and explains the crazy mutant kangaroo rabbit from the 5man into the Brewery) infesting their land. But it didn’t stop with them – they also have to contend with wolves and eagles. So Mabaho has become something of a pest control expert. The questing is going well and hopefully if I can get on today or tonight I should make 88 as I only have a bar or so to go. I’m grateful for the xp boost that seems to have occurred – makes it much less of a grind, and I don’t feel like I’m missing the story either. 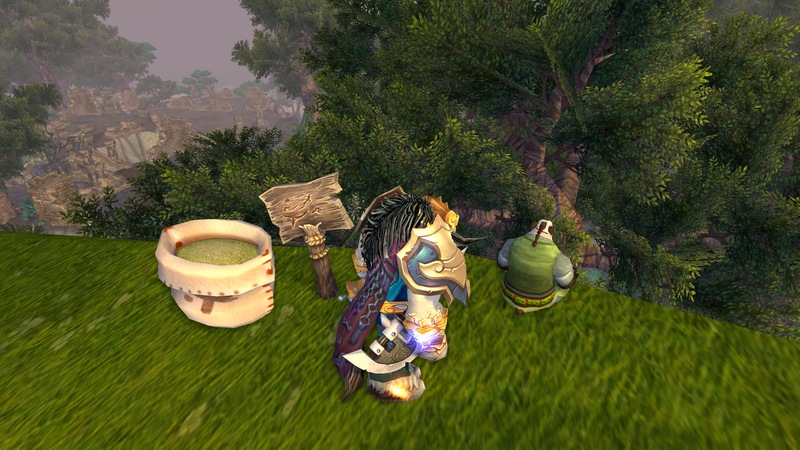 This must be the first sort of mixed faction zone as I’ve started to bump into Alliance toons questing as well. Caught a challenge once, but Mabaho doesn’t go in for that sort of thing. Gear continues to upgrade, the quest rewards are upgrades from the last zone, so everything is being replaced again. But I guess that’s par for the course at this point. 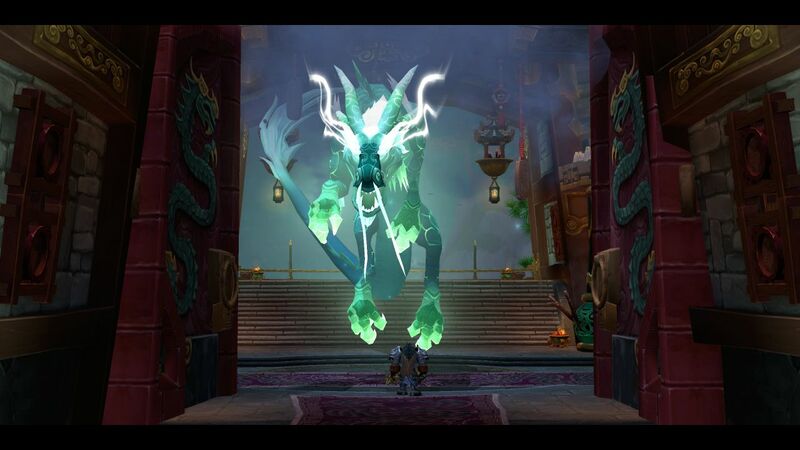 WoW – Meeting the Jade Serpent. Oh and that was a …. A final delivery of Jade to make and it led me to this great Jade Serpent, being carved out of the hill. 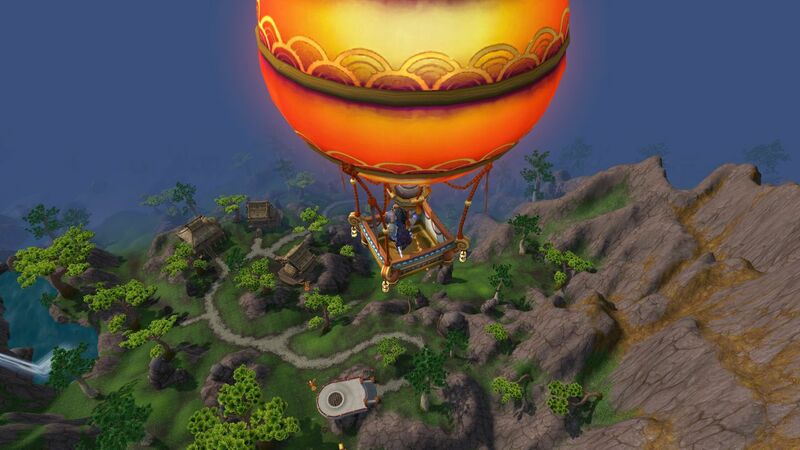 After I handed the jade out, I was invited to take a kite flight to the Temple of the Jade Serpent. I did ask to speak to the Serpent herself, but this was initially denied while I completed a few tasks, such as squashing bookworms that were infesting some scrolls. It also included rounding up some colourful serpents. Then the little girl led me into the temple and (well no surprise) transformed herself into the Jade Serpent. 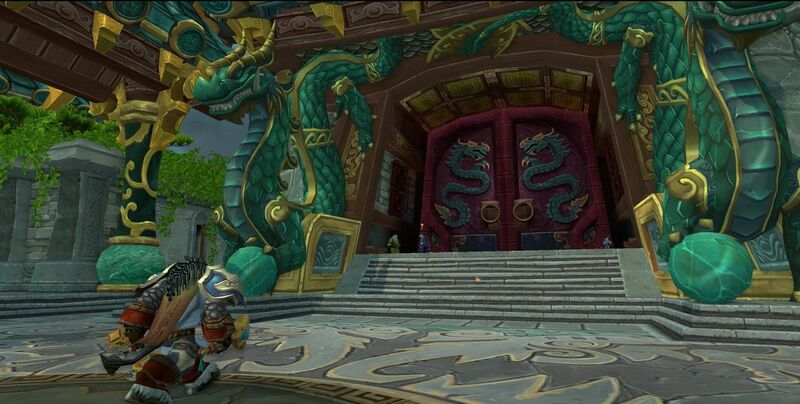 She took me for a tour and described how the statue will soon be empowered as the next Jade Serpent. 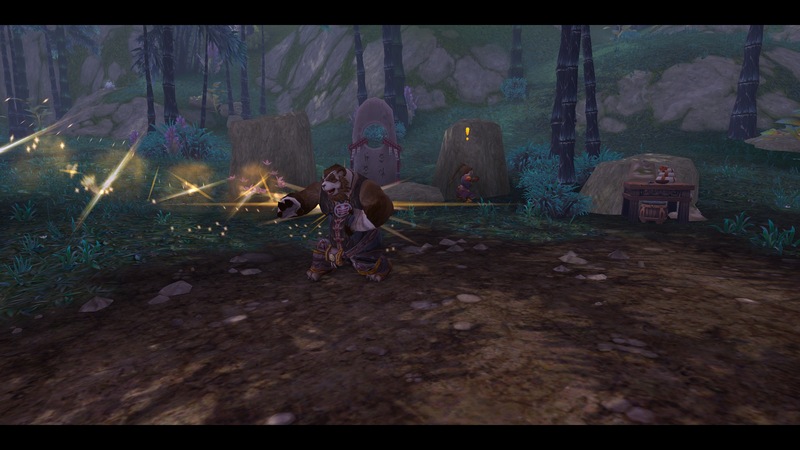 This completed my tasks in the Temple and I followed my next quest line to a Pandarian village being overrun by Mogu. I few quests didn’t seem to turn the tide, when a different target wandered into the fracas. I launched into the assault only to find out that I was not have the significant effect I expected (he wasn’t dead in 5 blows) and my health was actually reducing as well. 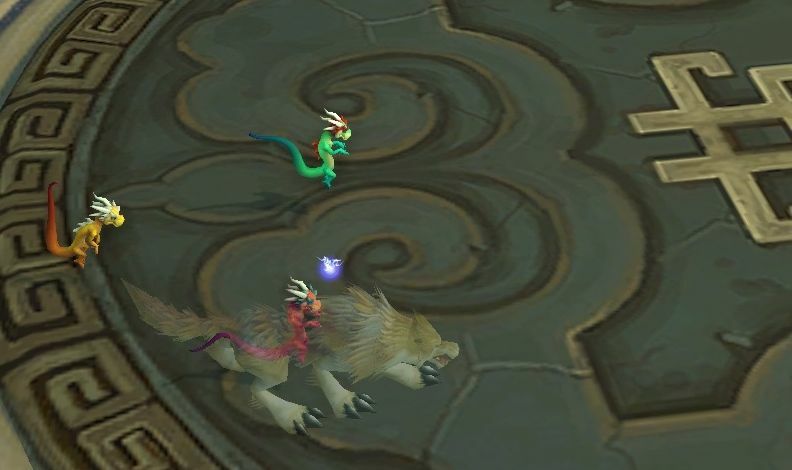 I deployed my boys (the Spirit Wolves) and a couple of Totems and proceeded to stay out of the purple circles. My first Pandarian achievement – A Worthy Opponent. 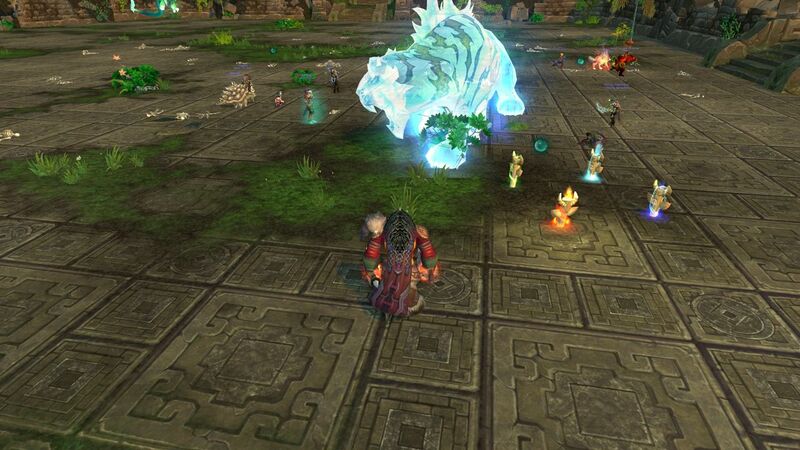 Killing the wandering rare “Mogu Sorcerer”, see that’s why I thought he was just another mob… I was in the middle of a village being overrun by Mogu. 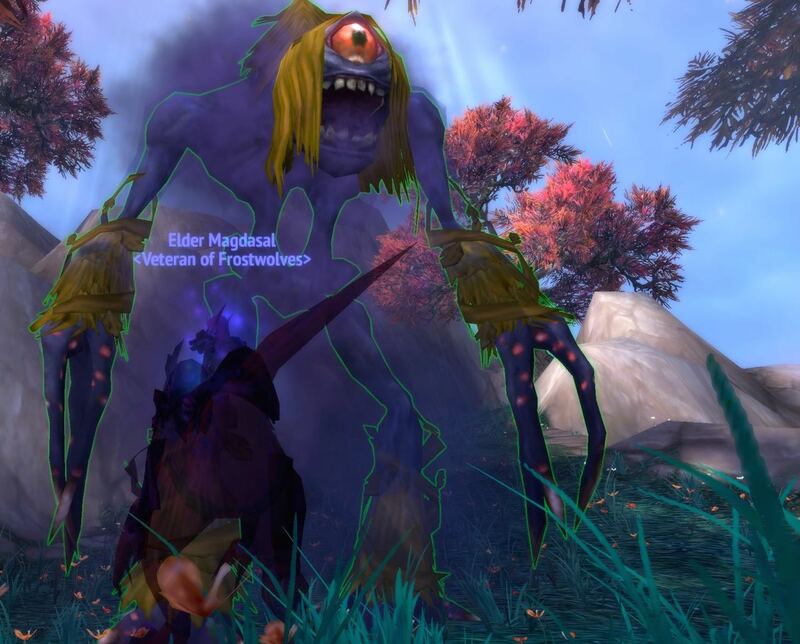 Author MabahoPosted on December 14, 2013 Categories WoWTags MoP, quests, rares, WoWLeave a comment on WoW – Meeting the Jade Serpent. Oh and that was a …. 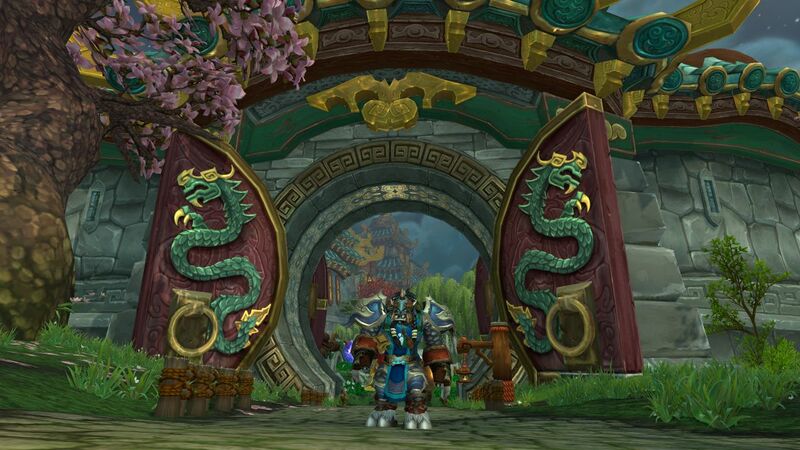 I’ve been continuing my questing in Jade Forest. It’s pretty quiet zone, not many other toons about, but I shouldn’t be surprised, only alts would be levelling these days. The quests have taken me all over the place, and I don’t really know my way around. This has meant I’ve been merrily riding along a road headed to a quest, to look at the map and find I’ve been turned around and am halfway across the zone in the opposite direction. Not sure why I suddenly find this zone confusing. Part of my Temple training was training bouts with various folks, including fish guy here. These little guys had a cool spell, it either enlarged them, or turned them into you.